Labradores S/N Urb. Prado De Espino, 28660 Boadilla Del Monte, Spanien. 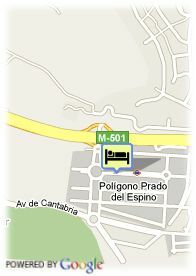 Hotel H2 Boadilla is a comfortable hotel ideal for leisure and business trips. 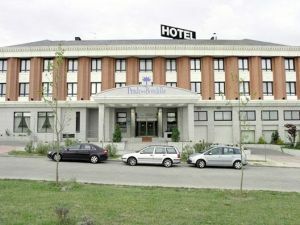 The hotel has a special location in the beautiful locality of Boadilla del Monte, very well connected to Madrid center and the airport. It offers 70 comfortable rooms equipped with full Bathroom, satellite TV and free Internet connection. Its other facilities include a complete reunions room, car park and a magnificent restaurant specialized in traditional cuisine.The hotel is just a step away from Madrid. Bezahltes überdachter Parkplätze beim Hotel (6.00 €).